Office Chair, 1955-1956. Rare version with back seperated from the seat. Office Cane chairs. 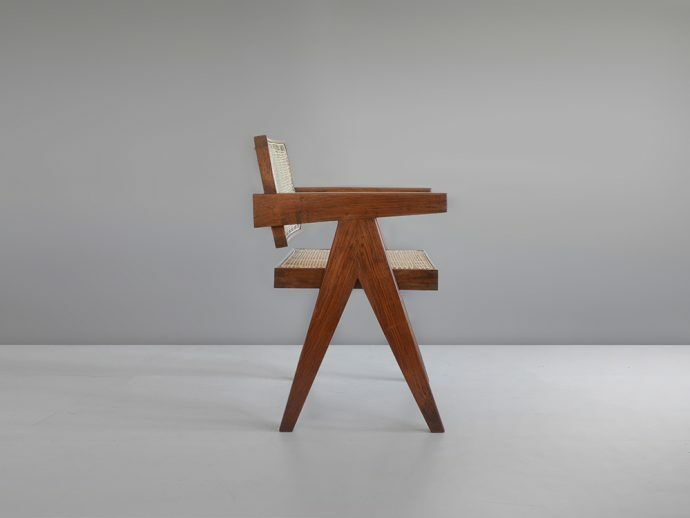 Pierre Jeanneret designed this office cane chair with teak. 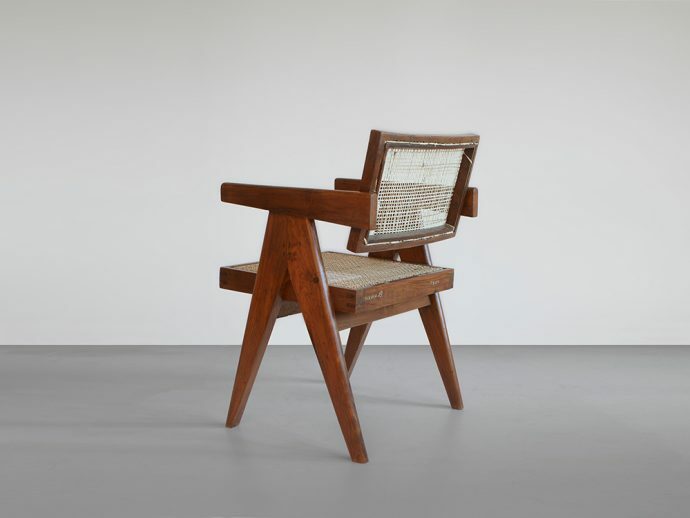 The cane chair is rare and Le Corbusier called it PJ-SI-28-A. You can buy here that object. We sell the chairs here and hope that you like it. Chandigarh was a big city and so concrete architecture was interesting for all people. India was in 1950 modern. Furniture and design is important. On auctions they sell that pieces like on Wright20 for high prices. Fitting to architectural objects like the rare le corbusier design. After making a wood chair it was perfect for sitting. As a seat of New York and London, all creative galleries were open. We sell objects like this. Ready to the auctioneers and for some artistic moments. The art is in America, Selling authentic pieces of 1960 and later. Original furniture with a sense for beauty. Radikal pieces of living for a client with good taste. Make interior design looking good. Good price we are selling to our clients. Buying art is a smart investment. Perfect office cane chairs for you.